First, let me say I am one of those people who see books, magazines or movies involving dogs and immediately thinks, “don’t injure or harm the dog!” That being said, I enjoy reading stories including dogs in the story either way it goes. 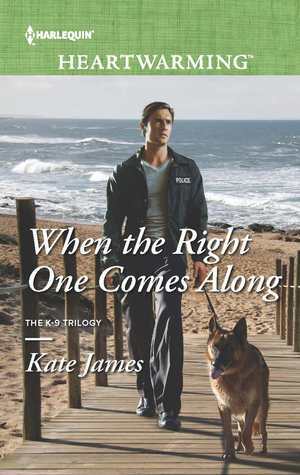 Kate does a great job of incorporating the importance of service/police dogs in this story and that is just one of the reasons I enjoyed reading this book. I was also pleasantly surprised by different locations mentioned and used in this book. I find that some authors use the same old cities as their backgrounds and places. After awhile, that gets stale. Kate does a wonderful job of explaining details of places and making the pages come alive. The initial plot of the story is different and unusual due to the location of the emergency events that lead to the main characters meeting. I like to think of these meetings as “meet cutes”, and though this one is not quite “cute” it works and is out of the ordinary. (I have to mention that the “meet cute” was from the movie, “The Holiday” and I just love that line). That tone setting was a welcomed change to the “normal” location setting and allowed the reader to become well acquainted with the area. At least for me I began forming a mental picture of the settings and what things would be like had those events truly happened in San Diego. In addition to the San Diego setting, I also enjoyed the interaction concerning Jessica’s job in Honduras. It appealed to me since my father is from there and it was a welcomed scenery change. I enjoyed getting little tidbits here and there concerning character background throughout the book. Sometimes authors give away the character background too early (or too late) and the reader is left with lapses from the initial telling of their story and the meat of the story. Instead, Kate mentioned or eluded to each characters “baggage” a number of times and it kept me wondering what was happening. I would get involved in the story, the interaction between Cal and Jessica then she would bring up their struggle and elaborate more each time. The attention to detail about the lives of law officers, the units, training, divorces and the horrible things women (or men I suppose) do to obtain custody of children was fascinating. I found myself so mad at Cal’s Ex-Wife for treating him the way she did. I sympathized with Jessica concerning her guilt over the child she cared for. A good story reels a reader into the plot like a fish on a fishing rod and makes them wish the story never ended. This book is definitely a story like that. The characters, though simple, are real and believable. I found myself a number of times smiling at the dialog or even the situation Cal and Jessica found themselves in. I related to their conversations from personal experiences and the conversations were so real and not to mention similar to those I have had. Sometimes in books the conversations seem totally unrealistic. The interaction between the characters was lively and entertaining to say the least. Kate must have done her homework on these situations and lifestyles in order to have such realistic and down to earth dialogs she created I this book. The attention to detail really goes a long way when a reader gets into the book. My rating for this book is 4 1/2 stars. I would have liked to have read a bit more about Cal and the adoption while Jessica was out of the country. In the aftermath of a deadly earthquake, it’s chaos for trauma surgeon Jessica Hansen. Among the many victims, one patient stands outóSan Diego Police K-9 search and rescue officer Cal Palmer. Kate James†spent eight years of her childhood living in foreign countries as her professional parents travelled on business. She lived in four countries and spoke five languages before settling down in Canada again to attend university. After graduating with a degree in civil engineering, she held a variety of positions in the field of real estate development and operations, and ran three substantial organizations. 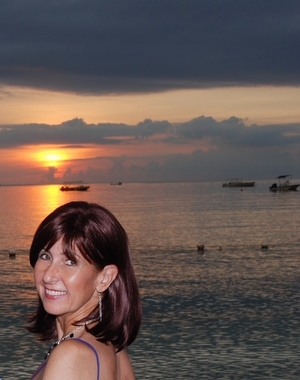 While her writing during this period was mostly business related, including presentations and speeches she delivered both nationally and internationally, her passion is and always has been fiction. Kateís goal is to entertain you with well-written, engaging stories, set in intriguing places and with strong, likeable characters. ìI hope my stories bring you pleasure and entertain you. Nothing pleases me more than receiving feedback from people who have chosen to spend their valuable leisure time with one of my books,î notes Kate. Thank you for hosting me on your website, and for the wonderful and thoughtful review! what tropical island did you marry on? St. Lucia. It was perfect and very elegant! Thank you for asking, Diana.